With the temperatures dipping and the leaves fallen, many of us will soon turn to comfort food to help us make it through the winter months. After all, there’s nothing like a big plate of mom’s pot roast and mashed potatoes to help you fight the post holiday doldrums. If you’re trying to keep the winter weight off, traditional comfort food can be your worst enemy. The good news is that with some easy and inexpensive modifications you can still enjoy some of the old standards without gaining the extra winter weight. 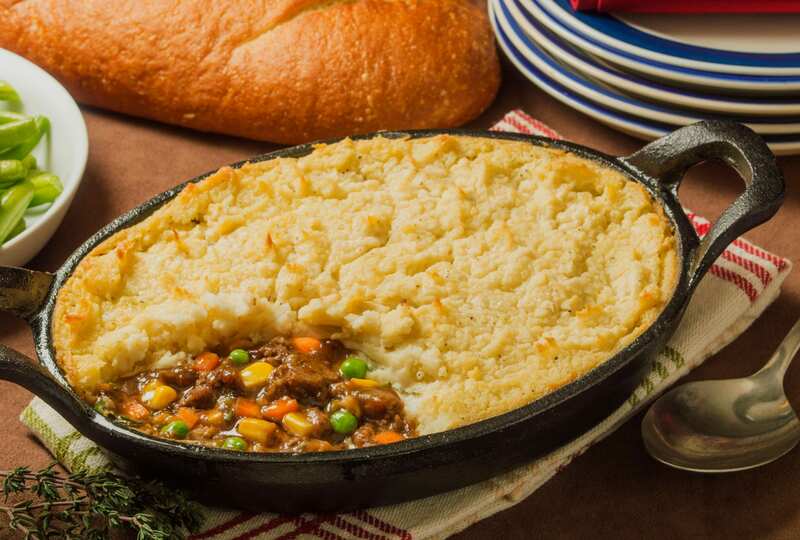 Meatloaf and Shepard’s pie are quick and easy dinners, especially for families on the run. These can be made much healthier if you substitute high fat beef with ground chicken or ground turkey. Strive for using 93 percent lean meat, if you can. If you still need your beef fix, try grass-fed beef like bison. Bison is very lean, fairly inexpensive and has a good amount of Omega 3 fatty acids that have many health benefits, including helping to fight depression and reducing the risks of heart disease. Also, you can substitute mashed cauliflower for mashed potatoes to reduce your carb intake. You probably would think that macaroni and cheese — the king of all comfort foods — is off limits. Not so fast. There is some great vegetable pasta available today made from lentils and chick peas that can help you cut the carbs without scarifying taste. Also, use low-fat cheese and skim milk to reduce the fat content. As always with any meal selection, portion size is key. Use the “plate method”: Half of your plate should be non-starchy vegetables like broccoli or asparagus, one-quarter should be a lean protein and one-quarter should be a healthy starch like brown rice or sweet potatoes. If you follow these easy steps, you can still indulge in some of your favorite comfort foods while keeping off the winter weight. Angela Frankland is a registered dietitian at Windham Hospital.